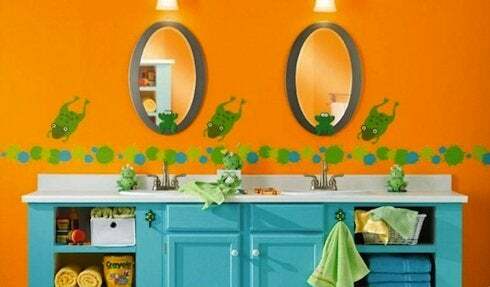 Do you know what a Jack and Jill bathroom is? If you grew up watching The Brady Bunch in the 70’s, you may already know, because the boys and girls had one. It’s a bathroom shared between two bedrooms, with doors entering from each room. Mr. Brady was an architect, after all, so he understood the value of a Jack and Jill bathroom arrangement. For the uninitiated, here are some of this design’s best assets. Bathrooms are expensive and take up valuable real estate in a floor plan. Using one bathroom to serve two bedrooms can save space and money for larger families or for people who have homes where guests visit, but a private bath for each bedroom is overkill. 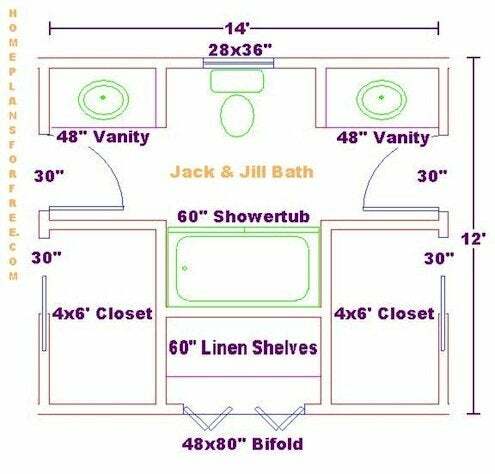 A Jack and Jill bathroom can be shared between a bedroom and the hall, but most often are between two bedrooms. In that latter case, it gives equality to family members. Since the bathroom can be locked from either side, the bedrooms still remain separate and private. And with those locks, the bath can be made private as well. A Jack and Jill bath can help kids learn to share and to compromise on their toiletry time tables. One drawback to the standard Jack and Jill bathroom is that it’s landlocked between two bedrooms, thus inaccessible to the rest of the house. Unless, of course, you design yours like Mike Brady did his, with a third entrance from the hall. And if you are as brave as Mike and Carol were, let six kids share that Jack and Jill bathroom. Then post in the comments section to let me know how it goes!